Tooth decay is a problem that affects the majority of people. In fact, 92% of adult Americans have had at least one cavity in their permanent teeth! With tooth decay being such a prevalent problem, it’s important to know how tooth decay could impact your health and what you can do about it. Decay happens when the outer protective layer of your teeth—called tooth enamel—becomes cavitated. When this occurs the enamel surface cannot repair itself. This means that acids and bacteria now have access to the softer tissues of your tooth. At this point the cavity will continue to progress, weakening the tooth, and eventually leading to pain and infection. Cavities can be restored by you dentist, but people who have had at least one cavity are at an increased risk for future tooth decay. In order to increase awareness of how tooth decay impacts your dental health, here are six things you didn’t know about tooth decay! Many people don’t realize just how much what they eat affects their teeth. Diet plays a huge role in tooth decay, so much so that the foods you eat can be largely responsible for what happens to your teeth. Although genetics also play an important role in our dental health, the importance of food is not to be underestimated. Starchy, sugary foods such as candy and refined flour can damage your teeth, while more nutritious foods such as vegetables and lean meats are less likely to cause decay. This same concept can be applied to your overall health—foods that are healthy for your teeth tend to be healthier for your whole body. Avoiding sugary foods, that are heavily refined, can improve your blood sugar and encourage a healthy weight while also leading to fewer cavities! Children are susceptible to tooth decay just like adults. Over 40% of children ages 2-11 have tooth decay. Just because your child has baby teeth doesn’t mean that these teeth can’t get cavities. And just because their primary teeth will eventually fall out doesn’t mean that tooth decay can’t impact their permanent teeth. One important job of your child’s primary teeth is to maintain the proper space for their permanent teeth, helping to guide them into their positions. When tooth decay affects your child’s baby teeth to the extent that they are prematurely lost, teeth can shift leaving no room for permanent teeth. Tooth decay can also become pretty painful, impacting your child’s attention span, quality of life, and even their self-esteem. It’s important to know that your child is at risk for tooth decay—and to get the necessary checkups to stop it from happening. Enamel erosion is a common problem that many people have, with one of the most typical symptoms being sensitive teeth. Although sensitive teeth don’t necessarily mean that you have tooth decay, you should talk with your Asheville dentist about your tooth sensitivity to see how healthy your enamel is. Unfortunately, early tooth decay doesn’t show many symptoms. Unless you’re regularly inspecting your teeth—or getting checkups at regular intervals with your dentist in Asheville—you might miss the first visible signs of a cavity. Usually, people who have tooth decay won’t experience any pain until it’s too late. At this point, the tooth may not be able to be restored or the restorative treatment will be more expensive and time consuming to complete. This is why routine dental exams are so important. It sounds extreme, but unfortunately, it can happen. If tooth decay is left untreated bacteria can create an infection in the bone around the tip of the tooth’s root. One way the infection can become life threatening is by entering your bloodstream and traveling to your brain. Remember, the sooner you seek help for your symptoms, the more successful your treatment will be. You should never let tooth decay go untreated because it will only progress eventually leading to an emergency situation. Professional treatment from your dentist in Asheville can help treat the tooth decay and save your smile and maybe even your life. Cleaning your teeth is a positive thing. However, just like most things, there can be too much of a good thing. Cleaning your teeth too often or too aggressively can actually cause your enamel to wear away over time. Once your enamel is gone, it can’t be replaced which can make your tooth more susceptible to decay. You should always brush with a soft-bristled toothbrush and be gentle. There’s no need to brush aggressively—your toothbrush and toothpaste do most of the work for you; you just need to cover all the spaces of your teeth. Although cleaning your teeth excessively might seem like a good thing that’ll prevent tooth decay, it could actually increase your risk of cavities through enamel erosion. The good news about tooth decay is that you aren’t stuck with it for life. Tooth decay can be prevented and treated by your professional dentist in Asheville. 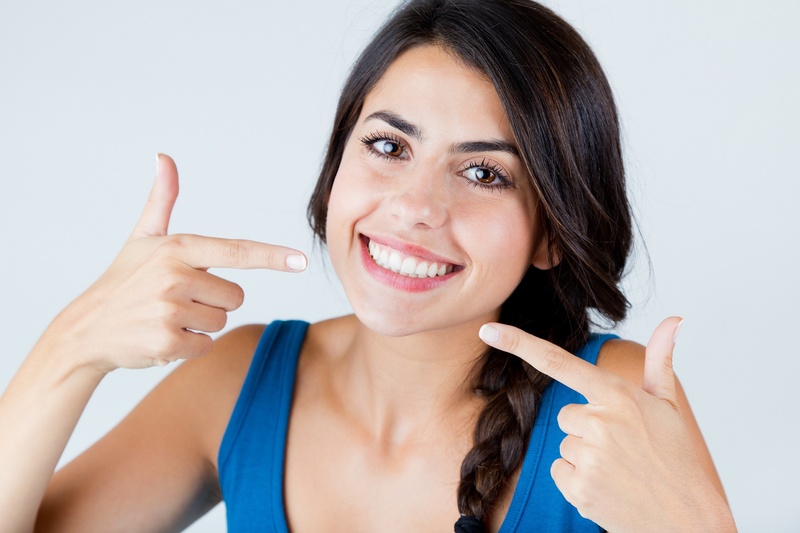 Your smile isn’t compromised just because of a cavity, at least if it’s caught early. Brush for two minutes two times a day. This is the amount recommended by the American Dental Association. If you choose to brush more than this, try to do it gently and don’t brush sooner than 30 minutes after your last meal. Floss once a day. Flossing helps remove plaque and bacteria from all the tight spaces that your toothbrush simply can’t reach. It’s an important part of any oral health care routine! Visit your dentist regularly. Dental checkups at least once a year can help ensure your smile is healthy and spot tooth decay before it becomes a huge problem. Eat a healthy diet. Avoid too much refined sugar—fruits are fine—and be sure to eat plenty of fresh foods. Raw snacks like carrots and apples can actually help clean your teeth throughout the day! How familiar are you with tooth decay? Many people don’t realize they have a cavity until it’s too late. Schedule an appointment with us to see how you’re doing with your oral care routine. Although the majority of Americans have experienced a cavity, most people don’t know these facts about tooth decay that can help you minimize your risk and seek treatment. We look forward to seeing you!